The QuickAssist provides an easy way for customers to page retail associates and other individuals in retail, church, and other businesses, such as factories or bakeries where the front desk can not be manned or is not frequented often enough to justify its own personnel. 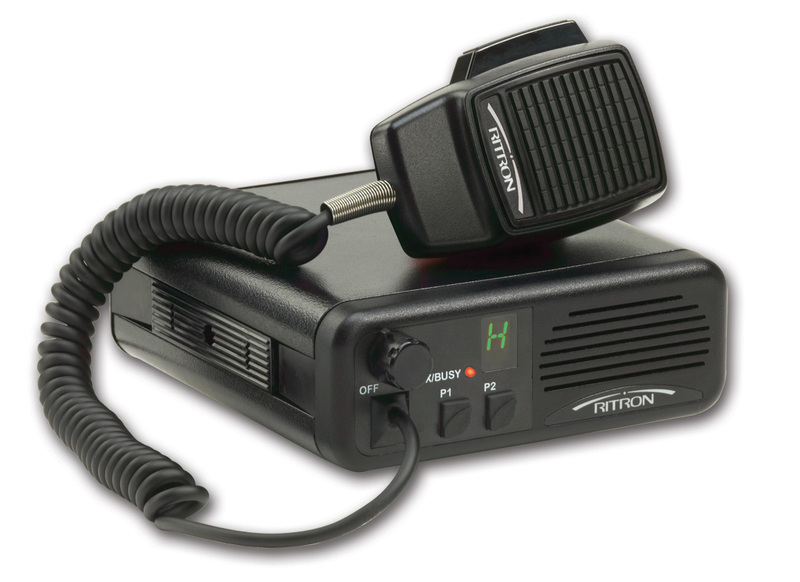 This wireless paging or one way intercom system broadcasts a pre-recorded message directly to two way portable or mobile radios. With portable radios, associates can carry the radios with them, so they can always be alerted when a customer needs assistance. With base station or mobile type radios, a base station area can be be created in a central room which may be manned by retail associates or security personnel. Many types of businesses would find the QuickAssist useful. Respond with the QuickAssist: a customer pushes the button to transmit a custom voice message from the QuickAssist to any 2-way radio equipped personnel in the facility. Provides a safe, safe, and efficient way to summon help. The QuickAssist allows you to service your customer when needed, increase sales, and reduce payroll costs. Grill Department - The QuickAssist II allows customers to call the category "expert" to assist them with a potential grill purchase. Grills, as a specialty item, do not generally require constant manning by an associate, but when the customer does arrive who wants to buy, the QuickAssist II allows the customer to page the associate directly. Lawn Mowers - Promote high ticket items, improve sales and productivity, again allowing the customer to contact a department associate when they are needed. This can help to increase sales, as people often grow impatient trying to find an associate or awaiting a paged associate who may not hear the page where they are (such as in the back stock area where the speaker system does not travel). With the QuickAssist II, when the customer pushes the button, a pre-recorded message is broadcast wirelessly directly to the appropriate associate holding or wearing the portable two way radio. Fitting Rooms - provide instant service and added convenience so that the associate can assist the customer by retrieving a different size or color garment for the customer. 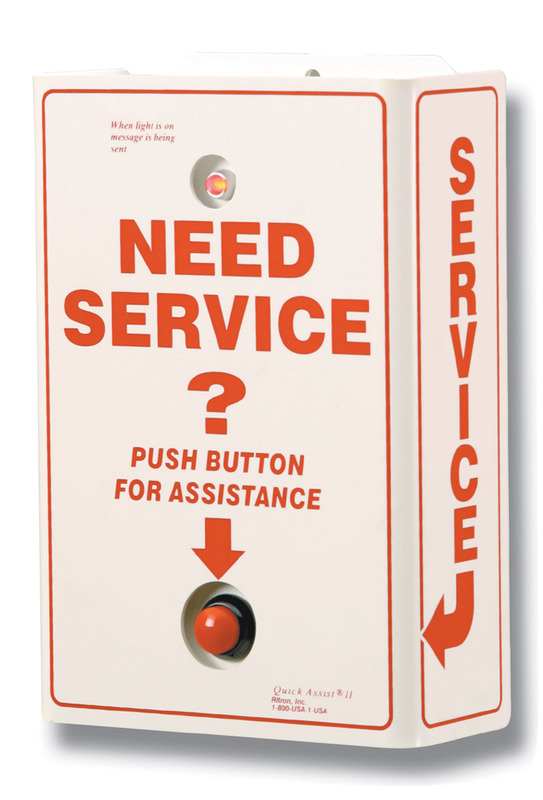 Many fitting rooms in larger department stores are both locked and unmanned; the QuickAssist II would allow the Fitting Room associate to be immediately paged when a customer at such a store desired entry into the fitting rooms. Point of Purchase displays - Manufacturers can include the QuickAssist II with P.O.P. promotions. Promote a sale item or a special buy, and allow the customer to directly page the associate best suited to help them when they are ready to make their purchase. Customer pick-up/ will-call area - Enable quick service at the customer pick-up window, allowing customers the freedom to continue to shop after they have paid for their items, and to summon an associate quickly when they are ready to pick up their items and depart. Works with your existing two way radios: Many stores today already have a two way radio system installed and in use in their stores, for loss prevention and other purposes. The QuickAssist II wireless customer callbox provides a fast and easy wireless method for customers to summon a sales associate to a specific department or location without using the PA system. The QuickAssist II is low cost, completely wireless, and battery powered. Install it anywhere without costly remodeling. The unit works on business band VHF/UHF, license-free VHF MURS, and GMRS frequencies. Typical range of the QuickAssist II is 50,000 square feet with no additional equipment or installation required. All store managers and associates will be kept abreast of the needs of customers. The battery powered QuickAssist II will provide up to 10,000 transmissions on a single set of 6 AA alkaline batteries. It also automatically transmits a low battery message when they need to be replaced.